Welcome To Your New Favorite Soap! 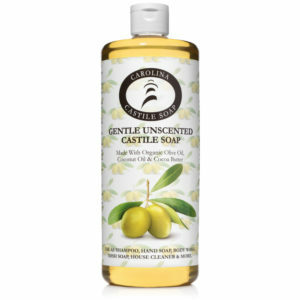 Castile Soap that is simply good, good for you, good for your family, and good for your home. 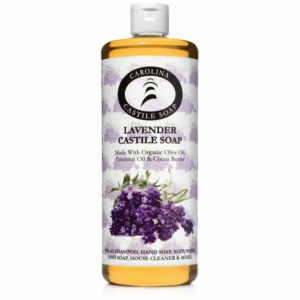 All Carolina Castile Soap products are certified organic by Oregon Tilth, a leading nonprofit certifier, educator and advocate for organic agriculture and products since 1974. 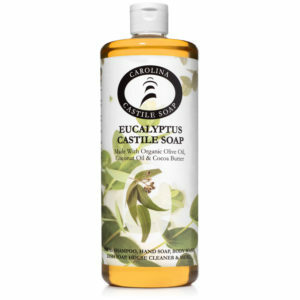 Carolina Castile Soap is available as a liquid in multiple retail and wholesale quantities, as well as bar soap for the home. Make the switch to all-natural soaps for your home, and you’ll never go back. 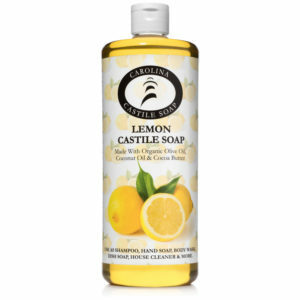 Here’s a multiple-choice question you’ll love — pick one or more of our fresh-scented Carolina Castile Soaps for your home and personal needs. Available in orange, lemon, lavender, peppermint, tea tree, almond, soothing eucalyptus and gentle unscented. Born in Raleigh, North Carolina to make your home and the world cleaner and healthier. Good for you, good for the environment, and gets the job done every time.